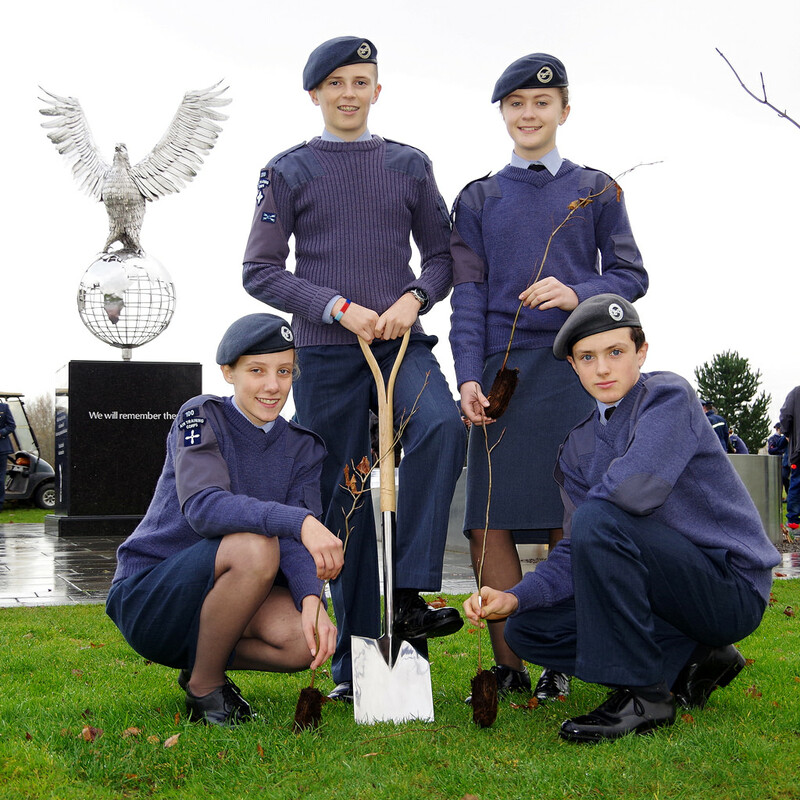 75 members of Staffordshire Wing Air Cadets descended on the National Memorial Arboretum, Alrewas, this weekend (Sat 10 Dec) to plant 75 beech trees, marking the 75th anniversary of the organisation. 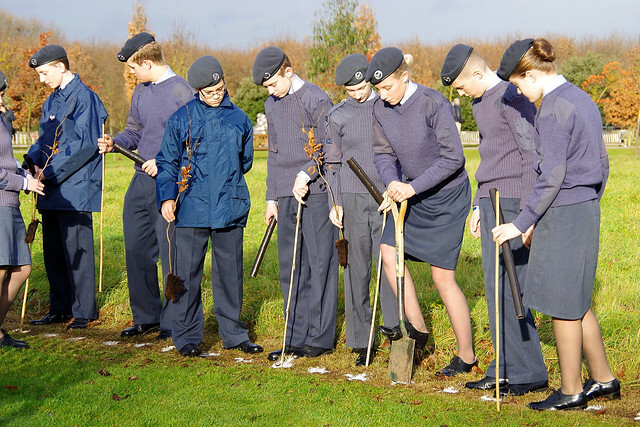 Cadets came from across Staffordshire, South Cheshire and the Black Country to plant the trees, which were donated by the Woodland Trust, providing a legacy of the anniversary year for generations to come. 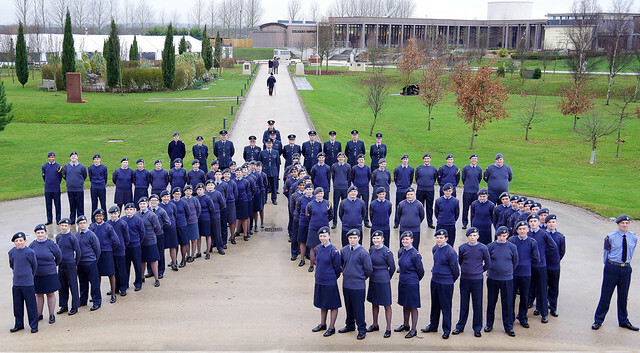 All 31 squadrons of the Wing were represented, with cadets from travelling from Buxton, West Bromwich, Stafford, Burton and everywhere in between. Wing Commander Sharrard-Williams, Officer Commanding of Staffordshire Wing Air Cadets, planted the first tree in the avenue. He said, “I’m really grateful to both the National Memorial Arboretum and the Woodland Trust for making today’s event possible, and ensuring we have a lasting marker of our 75th anniversary in the beautiful grounds of the Arboretum. Staffordshire Wing has units right across the county and are recruiting now. Cadets can join from school year 8 and get to take part in a host of activities such as flying and gliding, shooting, sports, adventure training and the Duke of Edinburgh Award to name a few. The Wing is also on the hunt for adult volunteers age 20 up who can offer a few hours a week to help deliver these activities. For more information, visit www.staffswing.org.uk. Media Communications and Training Officer for Staffordshire Wing Air Cadets. If you're interested in finding out more about the Air Cadets, or would be interested in working with us, just get in touch!